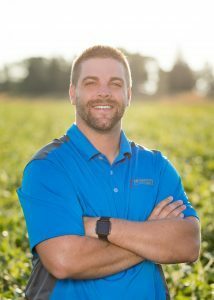 Madison, SD (September 26, 2018) - Mustang Seeds, a family owned independent seed company based in Madison, SD, is proud to announce the addition of Tim Rotert to the Mustang Seeds team. Rotert has been hired as a District Sales Manager in Mitchell, SD. Rotert graduated from South Dakota State University in Brookings, SD with a degree in General Agriculture and a minor in Agronomy. He then started as a Sales Agronomist in Flandreau. During his college years, he interned in Wessington Springs and then later returned to work there as a Sales Agronomist. Rotert and his wife, Megan, have a 7-year-old daughter named Kierra.